About five miles west of Lancaster, near present-day Beetown in Grant County, Wisconsin, a historical marker is all that remains of Pleasant Ridge, a unique community of African American farmers. 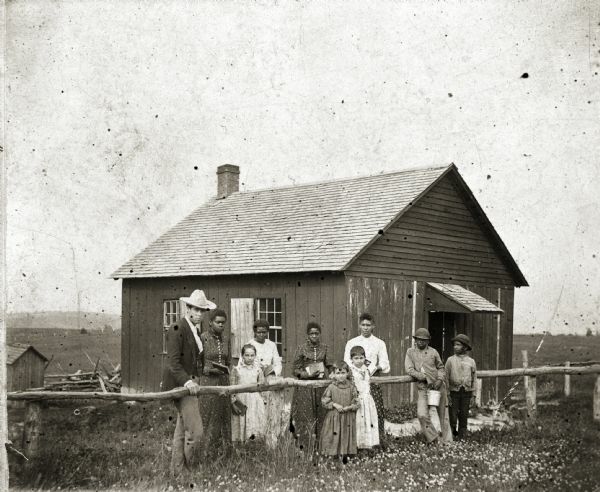 In 1848, when his owner died and gave him his freedom, Virginia slave Charles Shepard and his family moved to Wisconsin. They came with William Horner, nephew of the former owner, who hoped to prosper at lead mining. Horner soon discovered that lead mining was on its last legs, but he liked Wisconsin so much that he bought nearly 3,000 acres of rolling farmland. 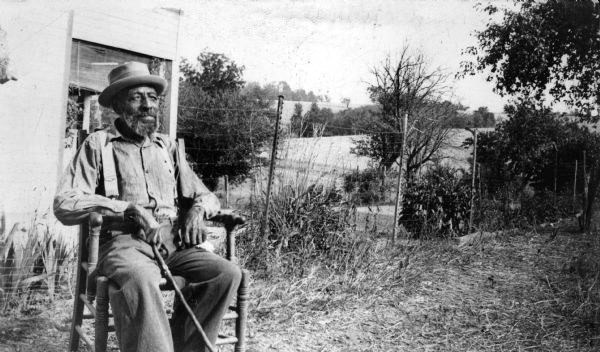 Horner's freed slaves (Charles and Caroline Shepard, their three children Harriet, John and Mary, along with Charles' brother Isaac and his future wife, Sarah Brown) initially worked for him, but in only a few years the brothers Charles and Isaac had saved enough wages to purchase 200 acres and homesteads of their own. They called their hillside "Pleasant Ridge." Soon former slaves began to arrive from Tennessee, Missouri and Arkansas, and they, too, established farms in the vicinity. Much of southwestern Wisconsin had originally been settled by white Southerners. Some, such as Governor Henry Dodge, were slave owners who brought slaves with them. But others had come north precisely to escape the slave labor system, which they opposed on religious or moral grounds. By 1850 a number of anti-slavery families and churches were well known, and one Grant County town was popularly called "Abolition Hollow." And by that time many of the original Southern settlers had been replaced by recent immigrants from Germany, England and Ireland who were intent on starting new lives. The original black settlers at Pleasant Ridge found life in Wisconsin much better than in the slave states where they'd grown up. When the Civil War broke out in 1861, Pleasant Ridge contributed its share of soldiers. Though black recruits were initially prohibited by federal law, when that restriction was lifted in 1863, Charles Shepard and his son, John, both walked to Prairie du Chien to enlist in the Union Army. Charles was with the 50th U.S. Infantry Regiment and died at Vicksburg; John, a private in Company K, 42nd Regiment, died of disease at the end of the war, on his way home to Pleasant Ridge. Pleasant Ridge Schoolhouse, 1890 ca. In the social chaos during and after the war, more Southern black families made their way into the rural Grant County settlement, which ultimately peaked at about 100 residents. In 1873, with their white neighbors, Pleasant Ridge residents built one of the first integrated schools in the nation; it accepted both black and white students and employed black as well as white teachers. Some of its pupils grew up to graduate from college and become teachers themselves. The white and black neighbors also created other facilities together, building the United Brethren Church in 1884 and a community hall in 1898. Isaac Shepard became the most prosperous farmer in the region, and he and his nephew Ed Shepard lived well into their 90s. But as decades passed, it was hard to keep the young people down on the farm. Many left in search of greater social and economic opportunities in larger cities, such as Washington, D.C. The black population at Pleasant Ridge slowly declined throughout the 20th century until, in February 1959, Ollie Green Lewis, a descendant of the Green and Shepard families and the last black resident, died at Pleasant Ridge. See the African-American Area of Old World Wisconsin, which includes a re-creation of the Pleasant Ridge community. Click it to see photos of the original Pleasant Ridge Chapel and an authentic replica of the cemetery. Read About Black History in Wisconsin.